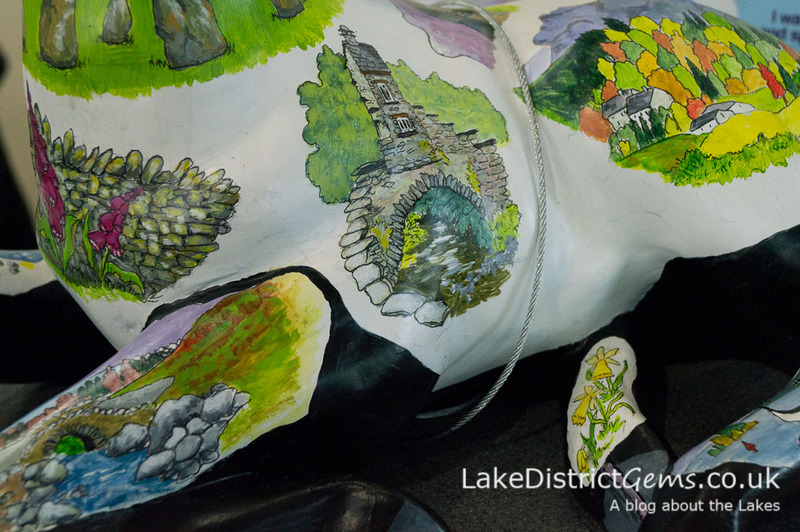 Back in March, I wrote a blog post about Go Herdwick, a public art trail made up of 60 life-size, colourfully decorated ewes, which have been sponsored by businesses and organisations around the Lake District to raise money for the Lake District Calvert Trust. 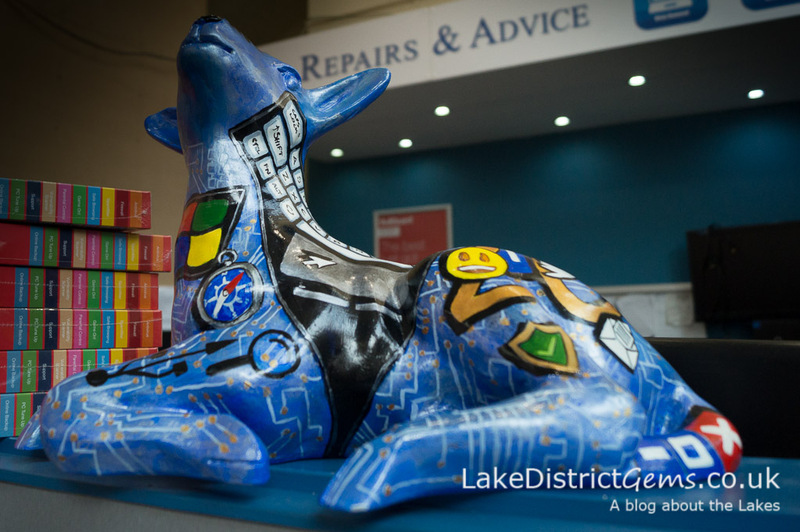 The trail has really captured people’s imaginations, and has proved very addictive, with many people travelling around the Lakes just to make sure that they capture a photo of every ewe! 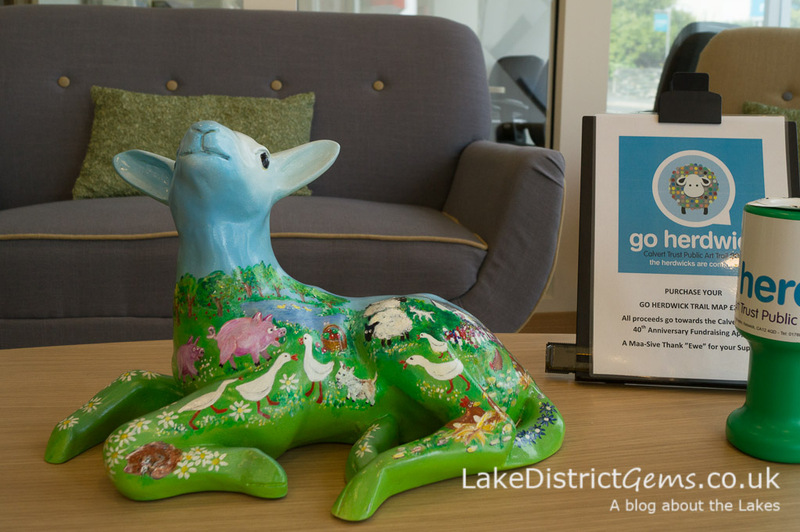 The trail goes on until Sunday 4 September, so if you haven’t visited the Lakes since the trail started, you’ve still got plenty of time to see it. 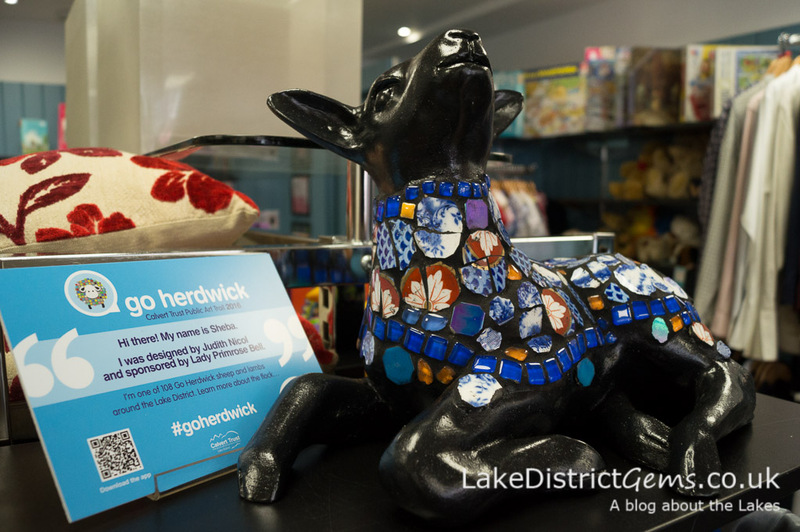 This week, in addition, two new and smaller Hide and Seek Lamb Trails have been launched in Keswick and Windermere, with 48 lambs hiding in shops, visitor attractions, cafés and office premises just waiting to be found. 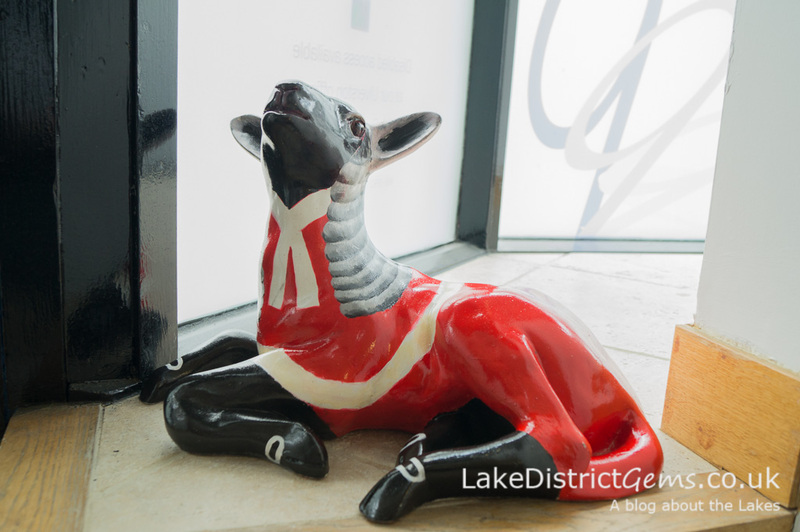 If you plan to do the Windermere trail, it’s worth bearing in mind that roughly half of the lambs are in Windermere itself, with the others in Bowness-on-Windermere (the two are about a mile apart) – plus there are a couple of lambs in between. The idea is that the smaller trails will suit families with small children, as they can be completed much more easily than the larger trail – though I suspect plenty of adults, like me, will be following them too! Just like the ewes, the lambs are beautifully decorated, so keep your eyes open for them, even if you don’t plan to follow the trail itself. 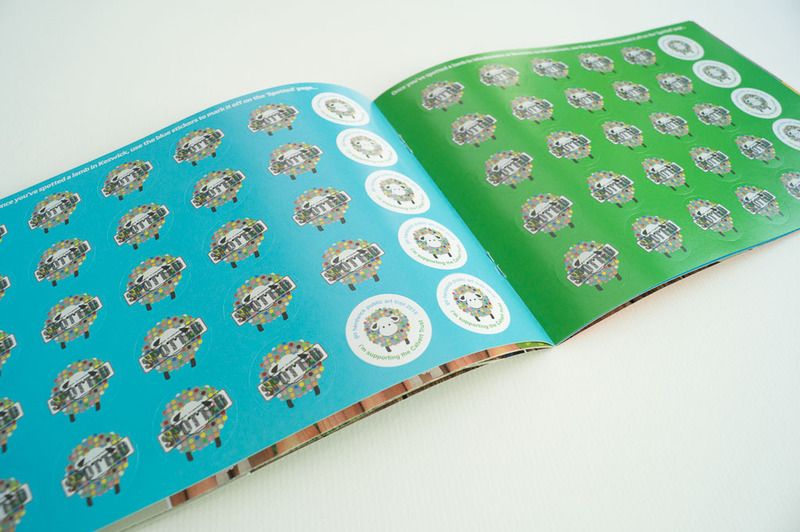 I also can’t wait to see ‘Agnus Mint’ at the Mintcake Mine in Bowness-on-Windermere, which has apparently been coated with clear glass that twinkles as though she is made of Kendal Mint Cake! 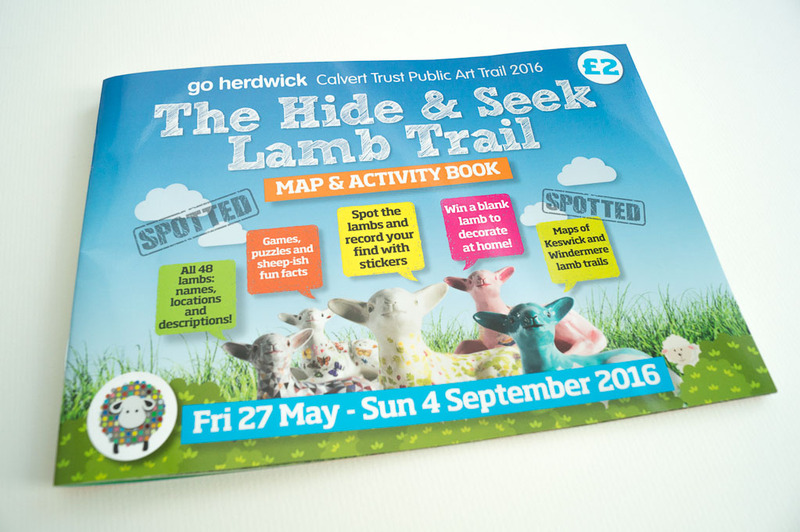 To follow the trail, you can buy a Hide and Seek Lamb Trail map and activity book (cost £2) – there’s a sticker for every lamb found, so that young ones can record who they’ve spotted as they go along. 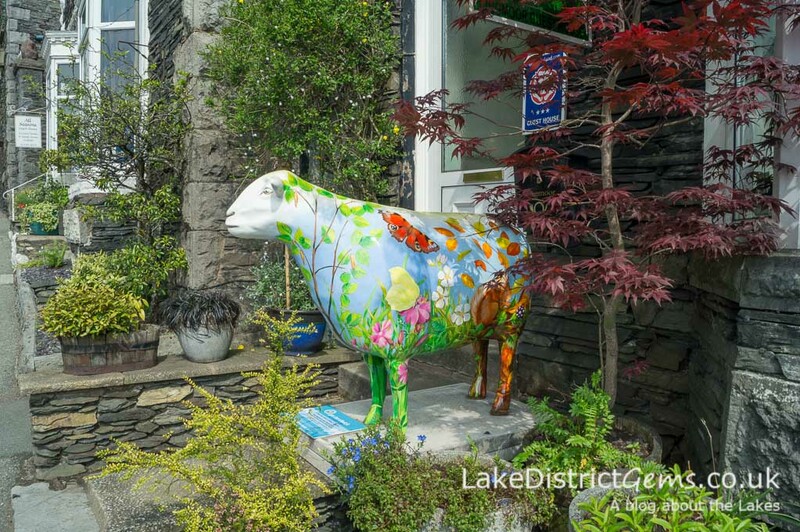 When I visited some of the lambs yesterday, not every participating business had the trail booklets, so if you can’t find them, head to Peter Hall & Son on Crescent Road, or the Mountain Goat office/Windermere Tourist Information Centre on Victoria Street (next to the Windermere railway station). You can also buy them online. 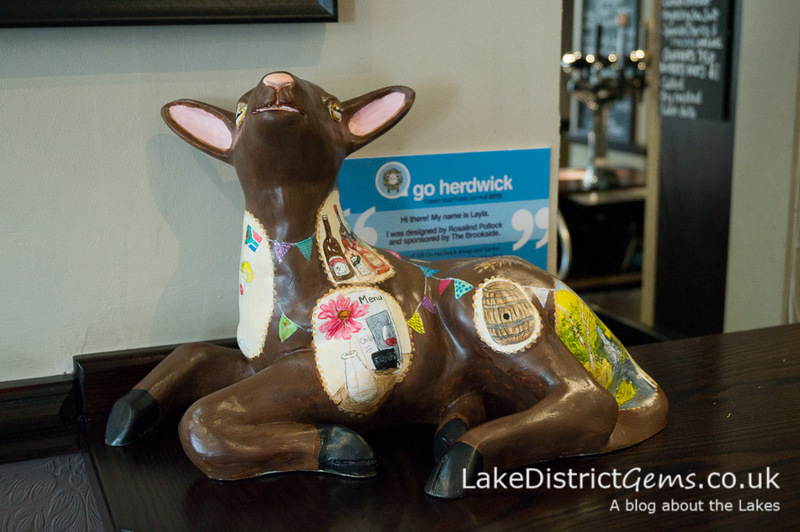 You can read more about the main Go Herdwick public art trail in my blog post from earlier this year. Happy lamb hunting! 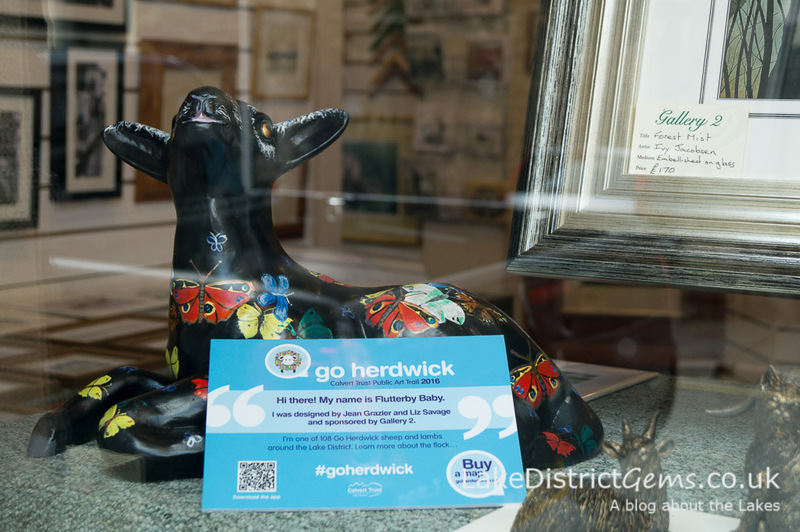 Have you been following the Go Herdwick sheep and lamb trails? 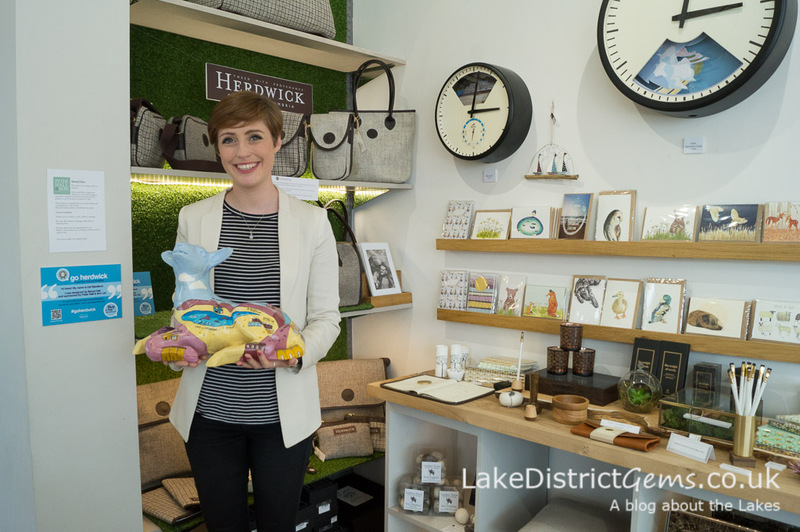 It’s always great to see your pictures on social media – just remember to include @lakesgems on Twitter, and you can find me on Facebook and Instagram too! 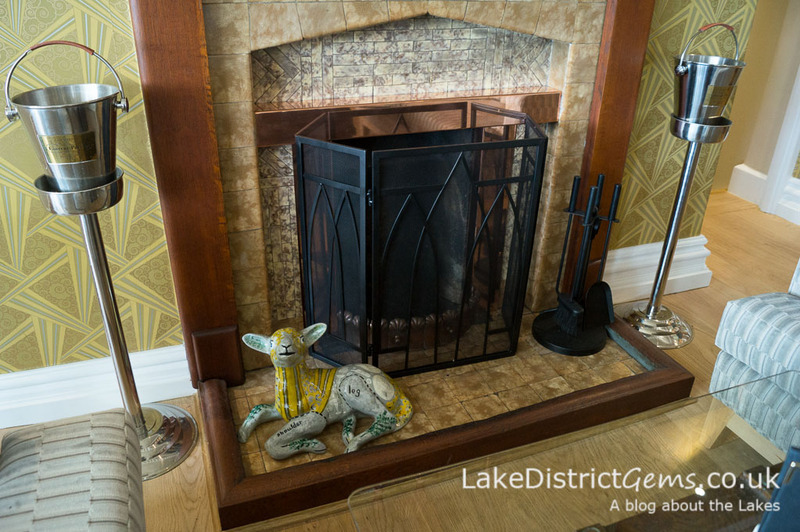 Yet another wonderful blog post Janine. Your support for the Go Herdwick project is superb and you have taken so many beautiful photos of the ewes and lambs. Brilliant work! 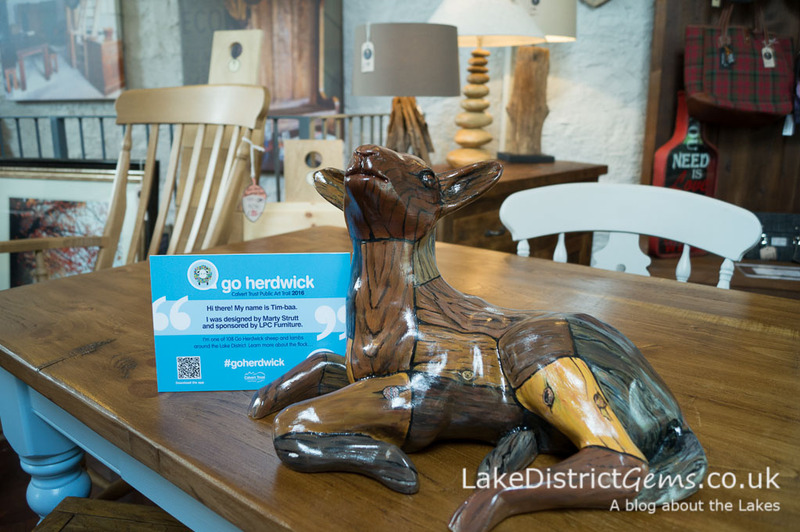 Thank you for your kind comments about the Go Herdwick posts Marty – it’s lovely to see the effort everyone has put into their designs for the ewe and lamb trails, and I will miss seeing them when they go to auction in October!